The Paradigm loudspeaker company and I are of long acquaintance. My experience of the brand, especially its Monitor Series, goes all the way back to the first series, some 20 years ago, when I bought my first hi-fi speaker, the Monitor 7. The Monitor 7 served in my two-channel music system as well as my burgeoning home theater, and gave me years of enjoyment. My lasting impression of the speaker was one of balance throughout the entire audioband. Ever since, whether owned or being reviewed by me, one model or another from this iconic line has been in my system. It seemed as if I’d just finished reviewing the last-generation Monitor system when Editor-in-Chief Jeff Fritz sent me a press release about the Series 7 Monitor system ($3994 USD). My response: "Gotta have it!" The philosophy behind the Monitor Series 7 models can be summed up in the phrase less is more. The new Monitor 11 ($799/each) is a lanky floorstanding speaker about 42" high, about the same size as the last-generation Monitor 9, though it has one more driver (the old 9 had four). Its narrow, 8"-wide front means it won’t dominate a room. Its depth of nearly 14" is 2" less than the old Monitor 11. Surprisingly, the Series 7 Monitor 11 is a three-way design; the previous Monitor 11 was a 2.5-way. New to the Series 7 Monitor 11 is the plastic plinth the speaker rests on. I don’t understand the function of this plinth; it sits nearly flush with the sides and the front of the speaker, and extends only 1.5" past the rear panel. It marginally increases the speaker’s front-to-back stability, but does nothing for its lateral stability. In fact, by raising the speaker 1.5", the plinth makes the speaker less stable overall. I suppose the slight air gap under the speaker is visually interesting, but I’d rather leave the plinth off. The only other beef I have with the Monitor 11 is its Black Ash finish. It’s a bit dull, which will be great for a darkened home theater -- the speakers won’t call attention to themselves by reflecting light, as do speakers finished in high-gloss black. But the finish elicits no excitement from anyone seeing the speakers in a well-lit room. Too bad Paradigm got rid of the Wenge that my review pair of the older Monitor 11s was finished in; it looked much richer than this. To be fair, a Heritage Cherry finish is available that I have not seen. Other than that, there’s a lot to like about the Series 7 Monitor 11. This three-way loudspeaker has same number of drivers as the previous version: a 1" tweeter, a 5.5" midrange, and three 6.5" woofers. However, the drivers themselves are mostly new, with some technology borrowed from Paradigm’s higher-priced Reference Studio line. The 1" tweeter is an aluminum dome protected by a grille. The 5.5" midrange driver -- a satin-anodized cone of pure aluminum (S-PAL) rather than the polypropylene of the previous speakers -- is now in its own sealed chamber to isolate it from the rest of the speaker. 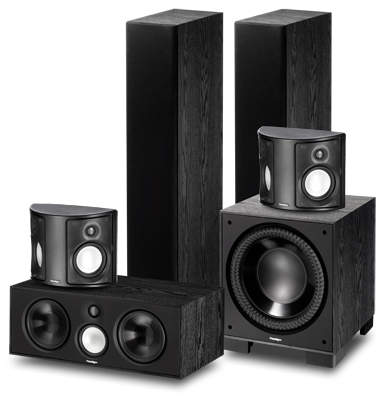 The three polypropylene woofers are the same as in the previous Monitor Series. Around back are two large ports, one each in the upper and lower halves of the rear panel, and, near the bottom, two pairs of high-quality, five-way binding posts. Like the earlier Monitor Series, the Series 7 Monitor 11 is outstandingly sensitive, with an in-room spec of 93dB/W/m. The seven-driver CC-390 center-channel speaker of the earlier series has not survived into Series 7. I can understand why: despite its outstanding performance, few people would have the room for such a beast. 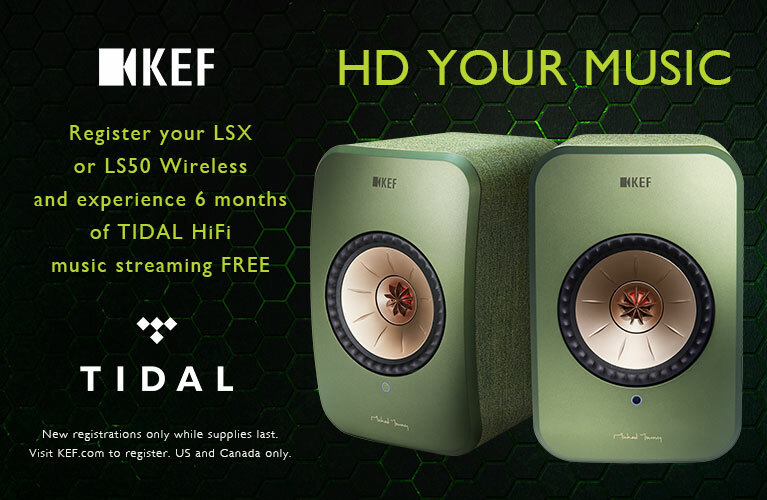 The flagship center-channel of Series 7 is the Center 3 ($599/each), with a more reasonable four-driver array. At the center of the front panel, below the Center 3’s 1" aluminum-dome tweeter, sits a 4.5" S-PAL midrange driver. Flanking those are two more of the 6.5" polypropylene woofers used in the Monitor 11. The Center 3, too, has an in-room sensitivity rating of 93dB/W/m. For Series 7, the Monitor surrounds have taken on a new appearance. Instead of the boxy previous models, which resembled half a stop sign, the Monitor Series 7 Surround 3 ($399/each) is a half cylinder. The crossover has changed as well; Paradigm has dropped their Adapted Dipole (ADP) design and calls the new speaker a bipole. Two 1" aluminum-dome tweeters are run in-phase, and two 5.5" aluminum-cone woofers fire in-phase at a 90° angle to each other. In the older ADP surround models, the tweeters were out of phase, the woofers in-phase. The Monitor Sub 12, too, is all new ($999). This subwoofer comes from the small-box school of design: Stuffed into its 15.1"H x 13"W x 14.5"D enclosure is a 12" polypropylene cone with a large (2") voice-coil. This driver's heavily ribbed outer rim allows the cone to move more with less distortion. Driving the massive motor is a 300W RMS (900W peak) class-D amplifier. All of the controls are on the rear panel, including a knob for varying the phase. 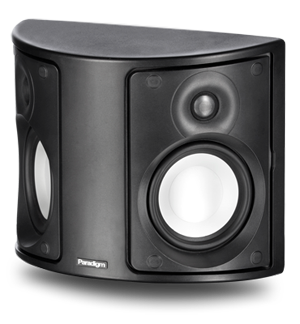 To help ease setup, the Monitor Sub 12, like most of Paradigm’s recent subwoofers, is compatible with the Paradigm Perfect Bass Kit (PBK). Using this system, you hook up the sub via USB to a microphone. The PBK software generates test tones, which are picked up by the mike and fed back into the software, which calculates the ideal response curve for your room and uploads it to the Sub 12. Because I have an Anthem MRX 500 A/V receiver with Anthem Room Correction (ARC), Paradigm didn’t send me the PBK, whose functions, according to Paradigm, are largely duplicated by ARC. An optional wireless kit can also be ordered; that way, you can hook up the Sub 12 to your receiver without having to use an RCA cable. I set up the Series 7 system in my basement man cave, which is 23’W and 16’ from the back wall to the screen, with an 8’H ceiling. The Monitor 11 floorstanders were 10’ from my listening seat and some 7’ apart. The Center 3 was about 9’ from my seat, below a 92" projection screen. The Surround 3s were along the back wall, each about 4’ from my listening seat. The Sub 12 was 11’ away, outside the left-channel Monitor 11. When I measured the system with the ARC room-correction software in my Anthem MRX 500 receiver, the mains showed remarkably flat response from 500Hz up. The bass response in the 25-30Hz range was too strong, per ARC, and this was where the software did most of its correcting. The Center 3 showed flat response from 200Hz up. The Surround 3s, due to their bipole design, showed quite varied response throughout the audioband, but were pretty flat from 600Hz up. The Series 7 Monitor system delivered dynamic range best described as effortless -- this system played loud without much strain from my receiver. When I watched the Blu-ray edition of Captain America: The First Avenger, all of the explosions, gunshots, and laser pulses emanated from a quiet background to easily fill my room. The ability of the Monitor system to reproduce the pulsating sound effects greatly increased my enjoyment of this movie. The BD of Cowboys & Aliens has a rich variety of sound effects. Insects abound, and in one scene virtual flies buzzed around the surround speakers. The Surround 3s did a remarkable job of imaging with this effect -- my eyes and ears were able to follow the sound behind, in front of, and to the sides of me. It really did sound as if a fly were in my room! In the rain scenes of Captain America, the Surround 3s were able to pull sound toward the front of the room to create a seamless soundfield. The great timbral matching of the Series 7 speakers was evident. After Steve Rogers becomes Captain America full time, he uses his new Vibranium shield as a boomerang. As the disc flew around the room, it was easy to track it through the Series 7 system -- its sound quality didn’t change as the sound moved from speaker to speaker. When bullets hit the shield, the sound of metal on metal was crisp and clear. Despite how much smaller it is than the previous CC-390 center-channel speaker, the Center 3 performed well enough that, for the most part, I didn’t miss its predecessor. Unless your room is huge or you play your system at obscenely loud levels, you probably wouldn’t need something the size of a CC-390 anyway. One thing I noticed when listening to the Center 3 was that I didn’t notice it. Dialogue was clear and clean, and it never drew attention to itself. With some center speakers, I often have to pause play and repeat to hear what I’ve missed. Not so with the Center 3. I often have difficulty with accents, but through the Center 3 I found it easy to understand the German and British accents of Johann Schmidt and Agent Carter. Another pet peeve I have about center-channels is comb filtering: the dulling of the highs as you move to the sides of the room, a problem shared by most horizontally oriented center speakers with D’Appolito driver arrays (midrange-tweeter-midrange). But because its tweeter is above its midrange driver, the Center 3 sounded the same whether I was sitting directly in front of it or in a cheap seat to one side of the room. As for the Monitor Sub 12, I was amazed at the volume and tightness of the bass this small box produced. Despite being an acoustic-suspension design (i.e., its enclosure is sealed and portless), the deep excursion of its cone was enough to generate loud playback levels in my room. The final battle sequence in Cowboys & Aliens sounded especially gratifying through the Monitor Sub 12. And the thumps of bullets were taut, without the boominess I’ve often heard from ported subs. A good comparison and rival system to the Paradigm Series 7 Monitor 11 package is the Axiom Audio Epic 80-800 ($4786), which I reviewed last April. The two systems are close in terms of size and configuration, although the Axiom array included the outrageously huge VP180 center-channel and EP800 subwoofer. The Paradigm speakers are of more reasonable size. In my review, I compared the Epic 80-800 with Paradigm’s previous Monitor 11 system and found that Axiom’s QS8 surround speakers excelled at both discrete and diffuse surround sound, and that Paradigm’s little UltraCube 12 couldn’t match Axiom’s big EP800 sub. I was curious to see how different the results would be with the Paradigm Series 7 Monitor 11. Paradigm has made strides in the Surround 3. These speakers were remarkable in their ability to perform with diffuse and discrete effects. When I listened to "Diamonds on the Soles of Her Shoes," from the multichannel edition of Ladysmith Black Mambazo’s Long Walk to Freedom (SACD/CD, Heads Up HUCD3109-25), the voices in the surround speakers sounded nearly identical to the same voices in Monitor 11 mains. Through the Axiom QS8s, the voices didn’t sound quite the same as through the Epic 80-800 mains. Dialogue was equally intelligible through both the Paradigm Center 3 and the Axiom VP 180 when I sat directly in front of the center-channel speaker. From off axis, there was some high-frequency rolloff with the Axiom VP 180, but none I could detect with the Paradigm Center 3. There was no question that the Axiom EP800 subwoofer outperformed the Series 7 Monitor Sub 12. This was to be expected, given the huge discrepancy in cost ($2440 vs. $999). However, most rooms would have difficulty accommodating an EP800; the Sub 12 could fit almost anywhere. The Axiom Epic 80-800 and Paradigm Series 7 Monitor 11 systems sounded evenly balanced throughout the audioband. In terms of musicality, though, the Paradigms were a bit more pleasing to my ears. The beginning of "Use Me," from Patricia Barber’s Companion (SACD/CD, Premonition/Blue Note/Mobile Fidelity Sound Lab UDSACD 2023), has a lot of bass and percussion. Through the Paradigms, the double-bass notes were very tight and precise -- I could visualize individual strings being plucked. In "Touch of Trash," the drums, hi-hat, and cymbals were nonfatiguing and very involving. Although hardly poor sounding, the Axioms were a bit harsher. 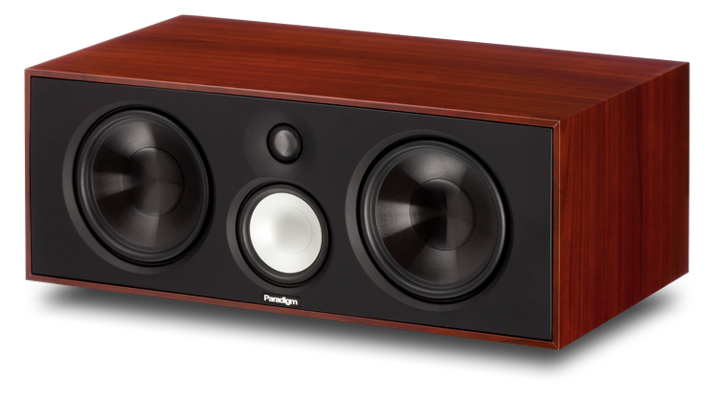 Paradigm’s Monitor Series 7 home-theater system is a step up in performance from the previous Monitor Series, with improvements that include new and better drivers, a new configuration for the surround speakers, and surprising subwoofer performance from a small package. This is remarkable when you consider the fact that the price remains unchanged: $3994. Although I found the appearance of the Monitor Series 7 speakers a bit average, their performance was anything but, and well worth hearing at your Paradigm dealer.